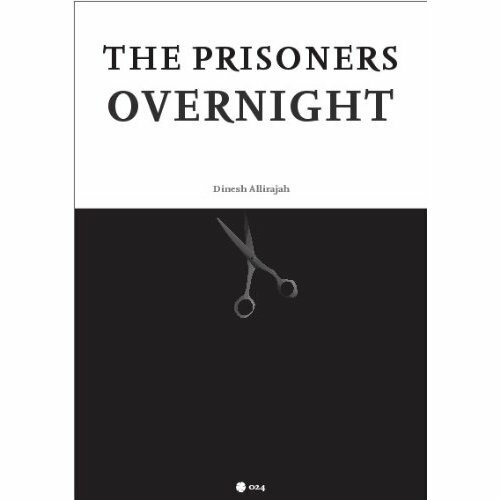 The Prisoners & Overnight now on Amazon! As listed here last month, my short stories The Prisoners & Overnight appear together as one of three titles published online by Flax/Lancaster Litfest as Flax Singles Nos. 023/024/025. The chapbooks are available to download for free HERE but the Kindle editions are also now ready and available from Amazon. Two stories that deal with how war affects civilians in contemporary England. Within authentic and assured narratives, Dinesh Allirajah presents ordinary lives against a backdrop of world events spinning beyond our control, that still affect us in both miniscule and obsessive ways. Leah King is a woman who defends herself emotionally and physically against any potential threat. While we’re not told exactly why, small clues lead a quiet parallel path alongside her powerwalk, that is bound to cross her sooner rather than later. A deft, honest and sometime uncomfortable story of a relationship growing beyond its first blind flush. As Italy grows familiar to Englishman Martin, his girlfriend Silvana’s exoticness dulls. What attracted him initially no longer holds his heart, yet admitting this is not so easy. I’m not a Kindle-fiddler myself so if anyone’s able to report back from the badlands of the new technology about getting hold of a copy (the price is 69p), I’d be interested to hear from you. Moreover, if anyone with a free or Amazon-bought copy of The Prisoners & Overnight would be willing to add a customer review of the chapbook on the Amazon site, the ‘my new best friend’ crown will pass to your safe keeping!